This isn't the most upbeat anniversary in the annals of California, but it's an important one in many ways. 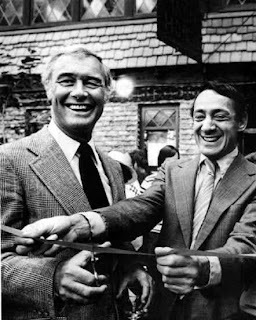 Between the George Moscone/Harvey Milk murders and the Jonestown massacre--traumatic events separated by only nine days--California utopianism took a terrific beating exactly 30 years ago. As it turns out, the reporter who covered the Moscone/Milk shooting for the San Francisco Chronicle has a special piece in the Chronicle today. What's more, that reporter (Duffy Jennings) is in my class at San Francisco State this semester. Check it out, I say.